#1 Assume you are a sourcing manager for a major US fashion brand, how would you rank the followings regarding importance when determining a sourcing destination: 1) Speed to Market; 2) Sourcing Cost; 3) Risk of Compliance; 4) other factors (please specify). Why would you rank them as such? 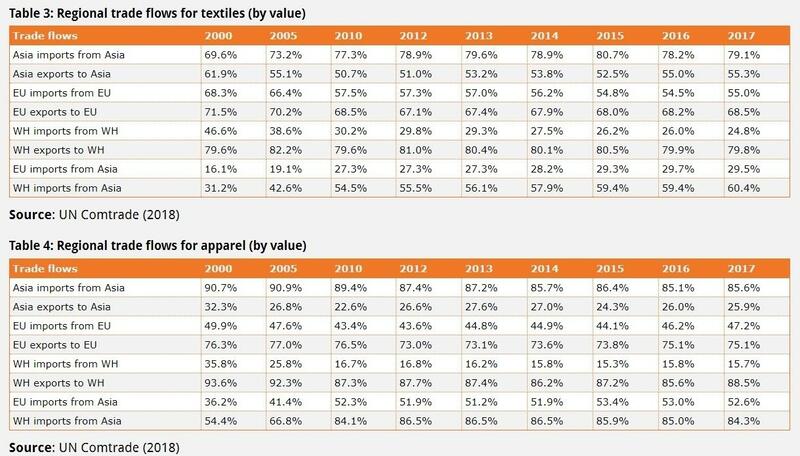 #2 According to the 2018 US Fashion Industry Benchmarking Study, some apparel retailers report sourcing from more than 10 or even 20 different countries or regions. What are the benefits of adopting such a diversified sourcing base? Is it necessary? #3 How has President Trump’s trade policy agendas affected U.S. fashion brands and apparel retailers’ sourcing strategy? What could be the long-term effect and why? #4 U.S. fashion brands and retailers plan to source less from China and move towards other apparel suppliers like Vietnam or Bangladesh. Is this a short-term response or a reflection of companies’ adjustment of its long-term sourcing strategy? Why? #5 Most U.S. apparel companies have already shifted their businesses to non-manufacturing activities such as design, branding, sourcing and retailing. Why or why not do you think it is still meaningful to give attention to apparel manufacturing in the U.S.? #6 Based on the 2018 US Fashion Industry Benchmarking study, why or why not do you think U.S. fashion brands and apparel retailers have given enough attention to sustainability and social responsibility issues in their sourcing practices? What could be done further? #7 Any other topics/questions do you think next year’s US Fashion Industry Benchmarking Study could include and why?